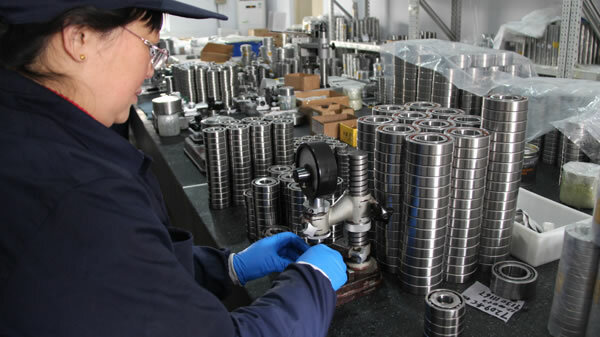 We carry out strict quality management systems based on ISO9001:2008 standards, starting from raw materials procurement, and track the entire production flow and complete detailed files on the product quality, manage the measuring tools, and standard bearing parts to make sure they conform to regulations. We also carry out two internal audits to ensure the successfully implementation of our own quality system. 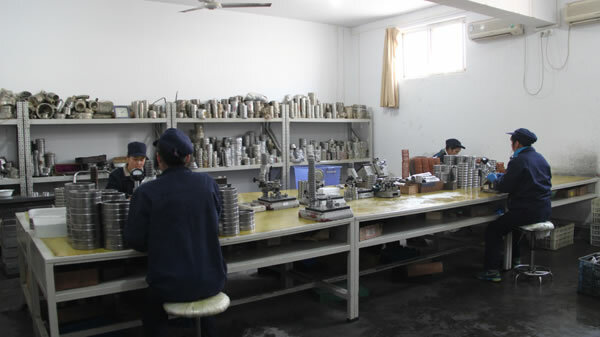 The testing room is specifically built for carrying out quality control processes. 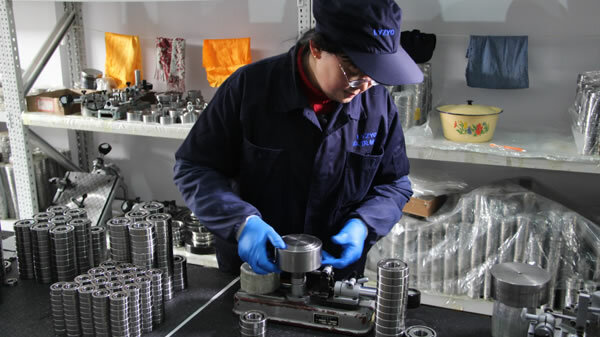 We carry out detections on the bearing parts, and spot check appearance and roundness of the bearing products. 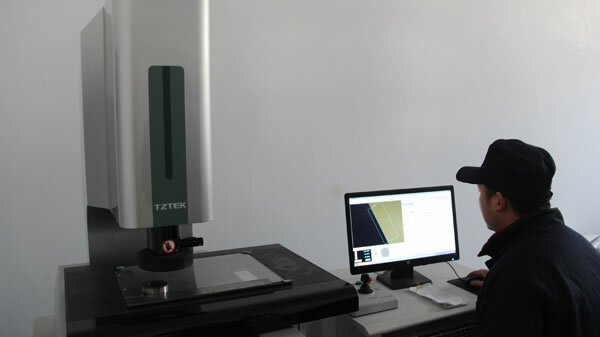 The roundness measurement is related to the outer diameter of the inner ring, which has the basic standards of a precision bearing. 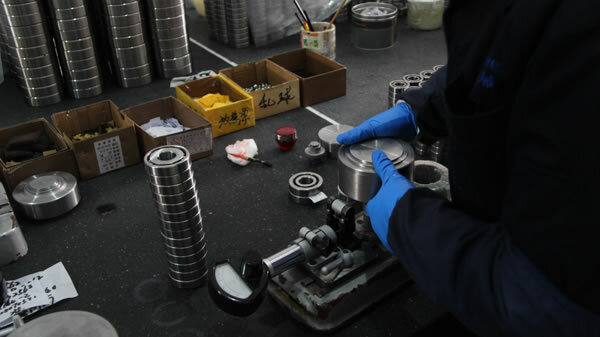 The bearing will be qualified if the inner ring has a standard roundness. 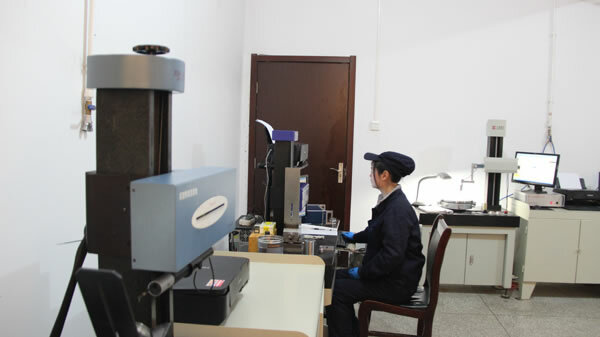 Roundness measuring instrument is used for measuring the outer diameter of inner sleeve of bearings. 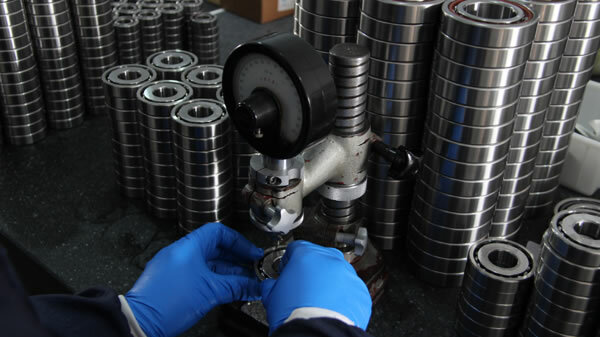 Whether the bearing is conform to the standard depending on the qualified outer diameter. 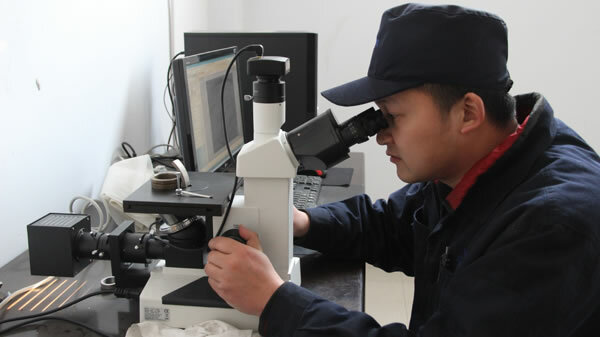 After heat treatment, the bearing components that are sampled, have their internal structure tested by a metallographic microscope. The main criteria is the eligibility of martensite. 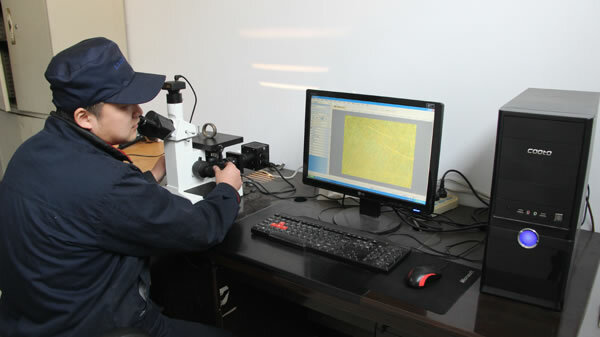 The measurement process includes acid corrosion, structural analysis, and computer based automatic detection. 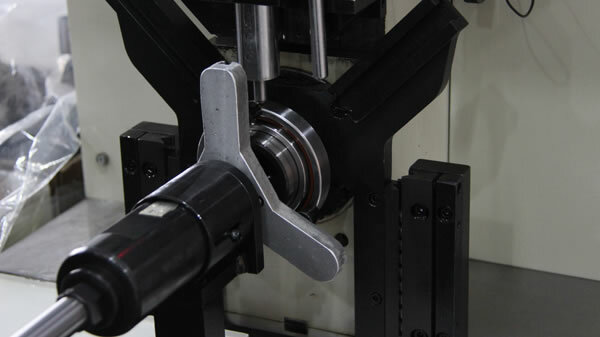 We have three test stations for the full inspection of all each bearing part’s inner and outer diameter, height, and parallel error. The projector is used to detect the bearing cage. 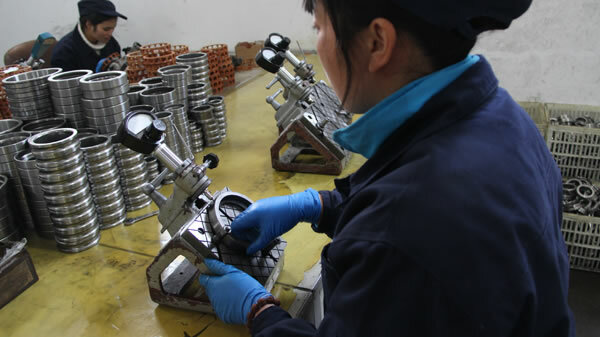 Taking a bearing cage made of bakelite as an example, the cage is relatively soft and easy to deform, meaning detection on the inner and outer diameter, and the deformation is necessary. 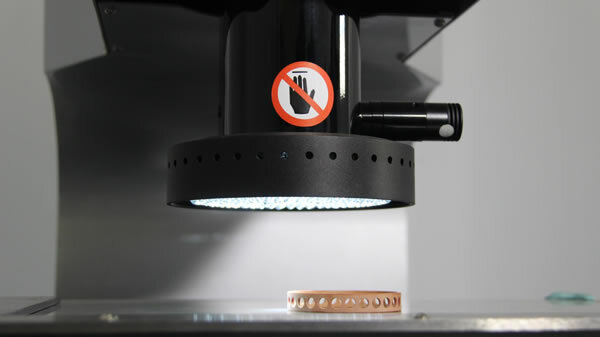 The projector can detect a batch of bearing cages through an intelligent program. 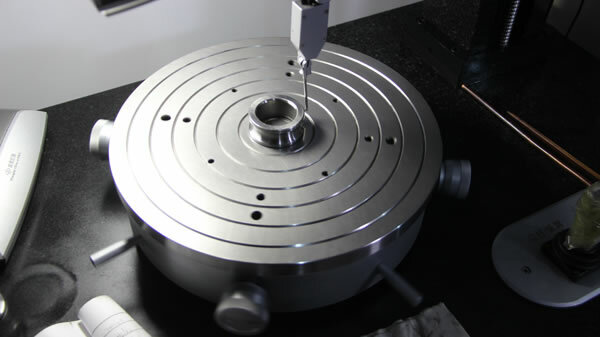 We place a great deal of important on the product testing of our mechanical bearings. 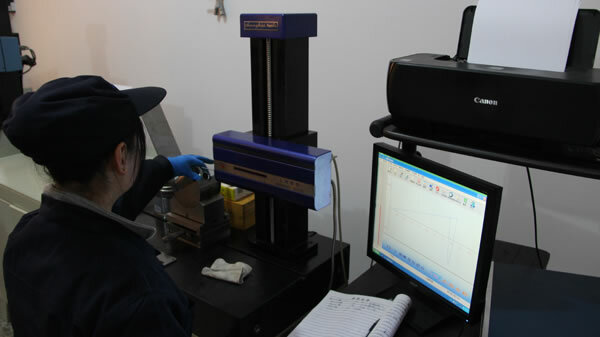 They must be of the qualified height and accuracy, as well as pass vibration tests before they leave the factory.